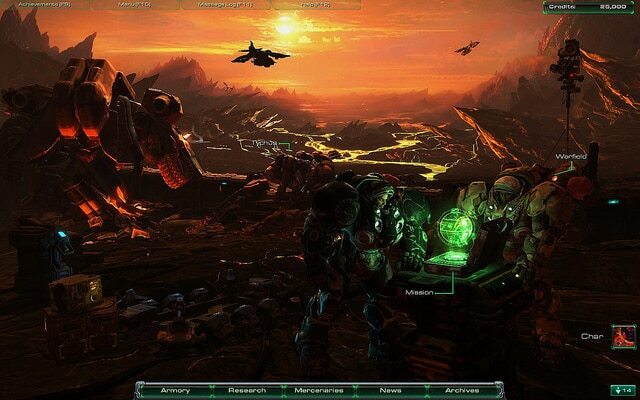 Originally released by Blizzard Entertainment in July 2010, the real-time strategy game StarCraft II has gone on to become one of the biggest and most lucrative titles in the world of eSports. A huge number of competitive gaming events involving StarCraft II are held across the globe every year, but here at Master Mazuma we think one of the biggest is undoubtedly the Global StarCraft II League – or GSL as it is better known in many circles. Here we take a look at the key facts related to the popular tournament and also provide a few pointers on the essential information you need to know when preparing to get involved in the world of GSL betting. Organised by Blizzard Entertainment, the GSL was founded in 2010 with the current competition based on the StarCraft II: Legacy of the Void standalone expansion which was released in 2015. The tournament-based league is held in South Korea and has gone from strength to strength ever since, with related invitation events such as Arena of Legends also being held at times. All of the action can be followed via online streaming services such as AfreecaTV, where English commentaries are usually available. Before getting started with GSL betting, there are a few basics that beginners should really familiarise themselves with. One particularly important thing to focus on is the format of the tournament, which operates at present on a two-tier league system. Code S is the top league where the very best players compete, while Code A is the lower league in which players battle it out for promotion to the higher level. Examining Code S first, these competitions tend to run on a dual tournament format which begins with a Round of 32. Each group consists of four players who are split into pairs and then play each other. The winners of those ties then meet, with the top player advancing to the next round. The losers of the first matches then come together, with the loser of that match falling to Code A. The loser of the winner’s match and the winner of the loser’s match then meet, with the victor getting a place in the next round and the loser falling to Code A. The next Round of 16 operates on much the same format, with the 3rd and 4th teams falling to Code A. In contrast, those who make it to the Round of 8 not only secure their Code S status but also then do battle in a best-of-five single elimination playoff. The winners then proceed to semi-finals and then the finals, with those rounds operating on a best-of-seven basis. In contrast, the Code A format sees 48 players matched up and taking each other on, with the winners of the best-of-five games advancing to the Code S Round of 32. The losers are unable to continue but can attempt to qualify next season. But what are the players competing for? Well, they are attempting to get a share of a prize pool which is usually worth hundreds of thousands of dollars. Using 2017 GSL Season 1 as an example, the winner of that tournament won a sum in the region of $35,580, as well as a seeding at the 2017 World Championship Global Finals. The rest of the prize money was then shared between other competitors in amounts based on their final position in the standings. So, once you have got your head around the key aspects of how GSL tournaments work, the next step is to carefully consider how you plan to bet on the competitions. There are a host of factors to think about, but we think a useful starting point is to get to know the top players if you are not aware of them already. Having a look at recent tournament results is worthwhile in this respect, as it highlights which players are in good form as well as who may be looking to improve when the next competition comes around. The final of the 2017 GSL Season 1 saw Kim “Stats” Dae Yeob beat Eo “soO” Yoon Su, with both of these players being among the best on the StarCraft II circuit at present. Other names to look out for include Kim “herO” Joon Ho, who finished fifth in that tournament but did then go on to win the 2017 GSL Super Tournament I. Byun “ByuN” Hyun Woo is another popular competitor at present, after he won the 2016 GSL Season 2, the WCS 2016 Global Finals and also the World Cyber Arena 2016 title. All of these players are sure to be close to the top positions at future GSL competitions – but bear in mind that the two-tier league system does mean that new talent is always emerging in this fascinating eSport. Keep an eye on what is happening at a Code A level, particularly in relation to whether any up-and-coming players could well have what it takes to challenge the very best at a future event. Spotting new talent with long odds on victory could be a strong route to success in GSL betting. Finally, do not forget to keep up to date on all of the latest news related to GSL as you plan your next betting move. Reports on the current form of players and issues affected them behind the scenes could offer insight as to whether they are set to perform well at a future competition. If there is one thing we love about eSports at Master Mazuma, it is that they are exciting, unpredictable and never less than thrilling. While it is not always difficult to predict who will be victorious at an event, the tips above should mean you are able to make informed decisions when GSL betting. Head across to our specialist pages related to GSL to find out more about upcoming events and the all-important odds related to the competitors involved. And good luck!